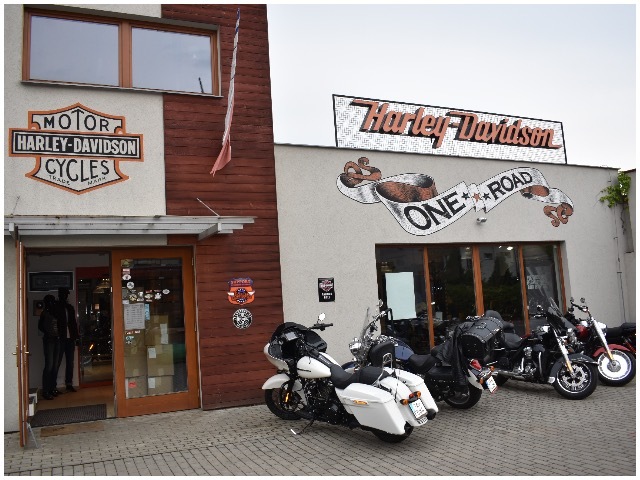 The Harley-Davidson Praha dealership has been the site of much planning for Europe&apos;s 115th Anniversary Celebration. 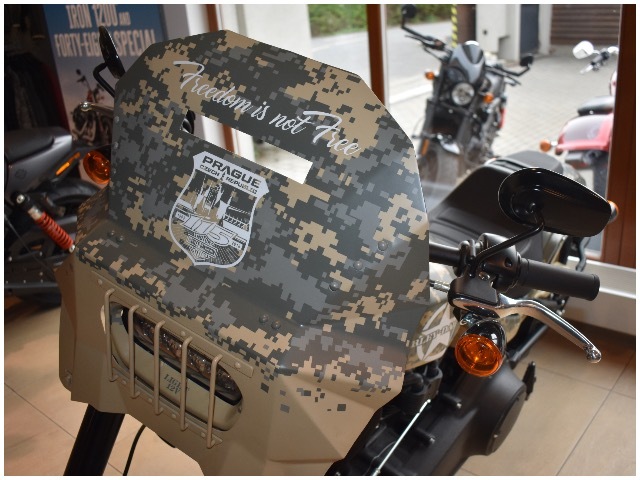 Published June 26, 2018 at 11:05 p.m.
PRAGUE – Across the scenic Vltava River and about three miles west of the historic city center, off the beaten path and removed from the many breathtaking tourist attractions here, in a handsomely converted 17th century winery, Harley-Davidson Praha officials are finalizing plans for the world's other 115th anniversary party. Every five years, as we well know, the iconic motorcycle maker holds its massive Milwaukee Rally, a hog pilgrimage celebrating riding, racing, bike culture and "the freedom of two wheels." Brew Town's much-anticipated 115th birthday bash later this summer will be a five-day global event expected to attract more than 100,000 people and generate millions in local revenue – not to mention raucous fun and untold leather-clad memories. And while it's certainly the biggest and we'd argue the best, it's not the only flagship Harley Fest. For each anniversary, dealerships around the planet throw parties throughout the year leading up to Milwaukee's, but the local multinational corporation selects one locale to host its signature international celebration. This year, it's in Prague, the famous golden capital of the Czech Republic and center of Europe's beautiful Bohemian Region. From July 5 to 8, all roads for European Harley riders will lead to Prague, rumbling in from dealerships at nearly four-dozen cities across the continent, through picturesque landscapes and romantic villages, past ancient castles and splendid chateaus, to "the city of a hundred spires." This will be the first time Prague has hosted a Harley-Davidson Anniversary Party, following in the footsteps of an extremely successful 110th in Rome in 2013. At that event, Pope Francis, clad in a Harley leather jacket, rode out into a huge crowd in Vatican City, blessing tens of thousands of motorcyclists and fans, setting the European standard. In the ensuing five years, Harley-Davidson Praha held annual Prague Harley Days to rev up support and enthusiasm for the 115th, each one an improvement over the last, according to organizers. This year is particularly significant, as the country itself is celebrating its centennial, recognizing Czechoslovakia's 1918 independence from Austria-Hungary. 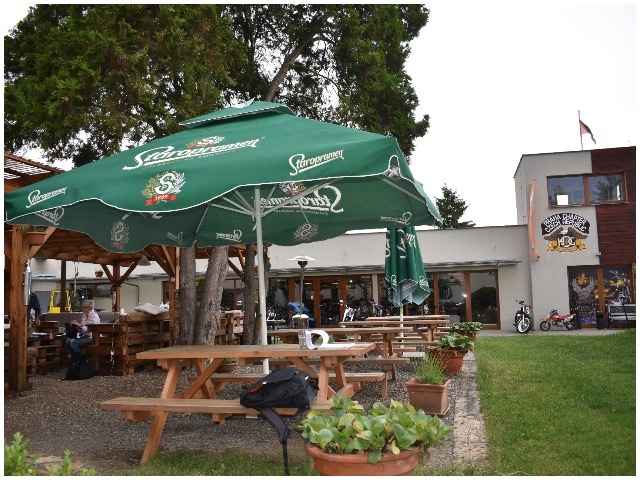 In the home stretch of planning, Jaroslav Vavrina (below right) and Michal Kyncl (left) sit at a picnic table shaded by a Staropramen Brewery umbrella in the comfortable beer garden of the Prague dealership, talking about their exhaustive preparations and anxious excitement for the anniversary party. "I'm nervous, but I'm really looking forward to it," says Vavrina, 50, the managing director of Harley-Davidson Praha. "I've ridden many miles with Harley over many years, and we have been working on this event without stop for two years." Chosen in part for its civic and tourism infrastructure, Prague also boasts an existing regional office and impressive biking tradition. 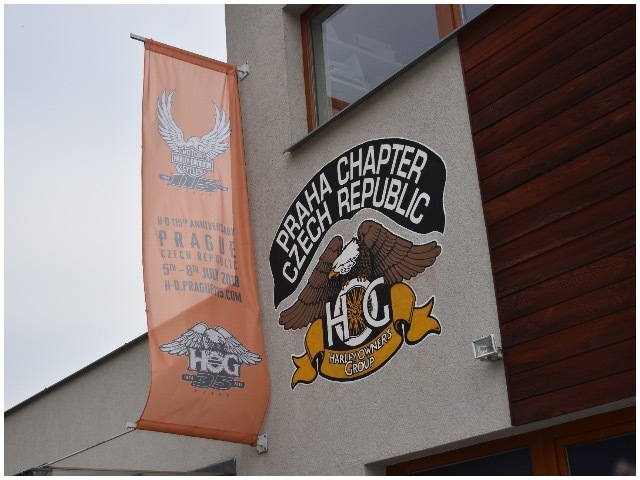 Harley-Davidson Club Prague is the oldest H-D club in the world, founded in 1928 and now with a million registered riders, according to Vavrina. 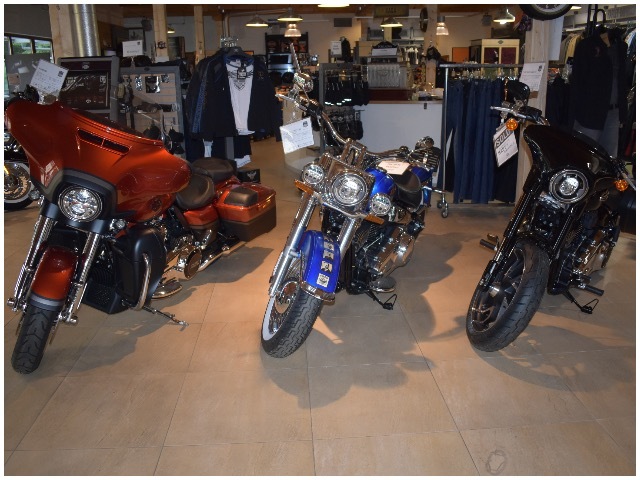 Motorcycles have always been popular in the city, from local manufacturer Jawa in the early 20th century to the now-predominant BMW Motorrad, but Harley has long been viewed as the most desirable. "The top brand in Europe is Harley-Davidson," Vavrina says, citing its broad appeal to everyone from Hell's Angels rebel-types to wealthy customers who want an upscale luxury product to gearheads who appreciate a classic, well-made bike. 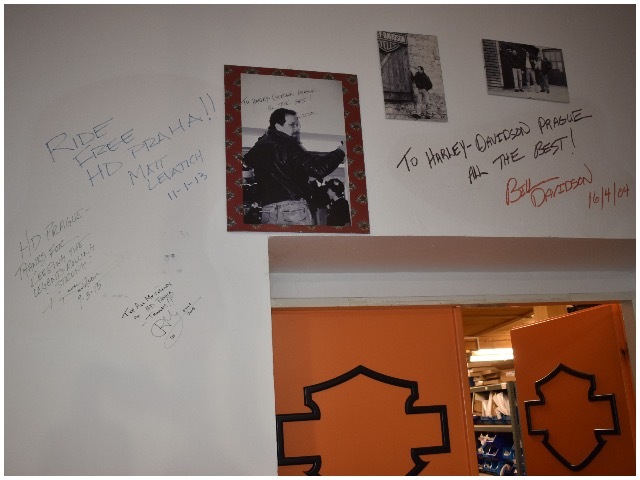 "Harley is very strong here; the brand is great, people love it. When they get enough money, they want to get a Harley." Vavrina says the region has the company's second-largest international presence (Harley-Davidson Milwaukee did not respond to a request for comment for this story) and demand is growing. Sales in the Czech and Slovak market in 2017 increased 31 percent to 858 units, of which 549 were sold in the Czech Republic. According to Vavrina, 48 percent of Czechs see the brand favorably and would like to ride a Harley motorcycle at least once. "It's a completely different attitude," he says. "We don't sell just the bike, we sell the culture and history and the reputation." H-D Praha is expecting more than 60,000 motorcycles and 100,000 people from as many as 70 countries and territories to participate. This is the first time Harley has formally invited the European federations – unofficial rider clubs – to the event. Bill Davidson, vice president of the Harley-Davidson Museum and the great-grandson of company founder William A. Davidson, and his sister Karen, who Vavrina says "loves Prague," are planning to attend. In a YouTube video produced by H-D Prague, Bill Davidson says, "Speaking about Prague, it's in a beautiful area," with Karen adding, "It's going to be just phenomenal; I can't wait." Taking place mostly at the expansive Holešovice Exhibition Grounds, just north of downtown Prague across the Vltava, the 115th Anniversary Celebration is projected to bring Kč 550 million (nearly $25 million) into the local economy. "It's going to be great for the city and the region," Vavrina says, adding that organizers are encouraging visitors to see more than just Prague and explore surrounding Bohemia. "We're calling it Legendary Weekend," says Kyncl, who's handling much of H-D Praha's marketing work. The ancient Holešovice Exhibition Grounds, an event site since 1891, will comprise many distinct attraction areas within the festival. Among them are the main Show Arena, which will host live music and entertainment; Czechoslovak Island, celebrating Czech and Slovak Harley-Davidson clubs; the Dark Custom Arena, home to freestyle motocross competitions, other sports and an auction of celebrity-painted helmets that benefits the women's charity Pramen; H.O.G. Village, commemorating 35 years of the Harley Owners Group; the European Championship in Muay Thai, which culminates with a series of title matches and a gala on July 8; the H-D Museum, one of Europe's largest motorcycle expos, featuring interactive exhibits and a selection of unique bikes; and the Jeep Touring Zone, Family Paradise kids area, Prague gallery, Custom Bike Show, games, stunts and more. 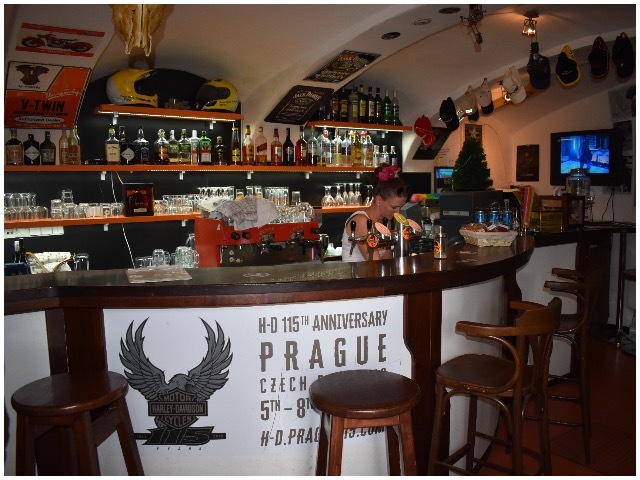 H-D Praha has partnered with Staropramen Brewery, booked popular concert acts and organized the huge Biker's Parade through the city center on July 7, as well as a public family event on July 8. The 28-year-old Kyncl says the cooperation from local government and emergency services has been "fantastic" and he's excited – or, at least, will be relieved – to see everything finally come together. Distinctively, defiantly American – even as the company endures criticism from President Trump after announcing it would shift some of its production overseas because of import tariffs – Harley-Davidson is proudly made in Milwaukee. The 115th Anniversary Celebration in its hometown will be, as always, a raucous, unforgettable party. But first, the bikes will burn rubber through Bohemia, add a little chrome to the Golden City and put Prague at the center of the motorcycle universe.